Water plants, not weeds. We turned off the sprinkler heads in our garden beds and used a sprinkler head conversion kit to install a drip system. It’s inexpensive and very easy to install. Each drip is set to only water plants, flowers and trees, where necessary. The rest of the bed doesn’t get watered, saving water (and $$) and keeping weeds down. Use a thick layer of mulch or bark. We’ve spread mulch too thinly for the past couple summers. At only 1-2 inches, it thinned out quickly and disappeared before summer was over. It didn’t help with weed control. This summer, we spread it 3 inches thick and it has made a huge difference. Mulch also helps keep your water needs down (and $$) as it reduces evaporation by up to 50%. Plant drought tolerant ground cover. 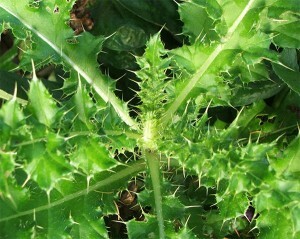 Ground cover acts similarly to mulch so it covers the dirt, keeping weeds down and reducing evaporation. By choosing drought tolerant ground cover, you further reduce your water needs. A couple years ago we ditched the Round Up and chemical filled fertilizer for more eco-friendly alternatives. It has taken some time to figure out how to maintain our lawn without chemicals but this summer we’ve found some great methods that are doing the job. I know it would be more eco-friendly not to have a lawn at all but we have two young children who love to run barefoot through it. It doesn’t take any more effort than conventional methods to have a safer, eco-friendly lawn. Know how much water your lawn needs. Your lawn only needs 1 inch of water a week and preferably, all at one time. This way the water gets down to the deep roots. To determine how much water your lawn needs, put an empty tuna can in the middle of the yard. Turn on the sprinklers and record how long it takes to fill the tuna can up. Once you know how long it takes, set your sprinkler system to water 1x per week for that length of time. Remember, different parts of your lawn may need different amounts of water. We water 30 minutes, 1x per week in our front yard and 1 hour, 1x per week in our back yard. Don’t waste water. Water in the morning. If you water during the day, it evaporates before it hits the ground. We start our watering process at 5am. If you have a sprinkler system, turn it on and watch how each sprinkler head is functioning. Is it overwatering by spraying sidewalks or driveways? Do you have too many sprinkler watering the same area? The spray area on each sprinkler head can be modified, usually with a screwdriver applied to the top. We have turned off about 25% of our sprinkler heads totally because they were watering areas that weren’t planted yet or were overlapping with other sprinkler heads too much. Use free fertilizer. By leaving your grass clippings on your lawn, you reduce your fertilizer needs by 25%. To keep our garden beds grass clipping free, we bag the grass clippings while mowing and then empty the bag back onto our lawn. You also reduce your trips to the recycling center to take grass clippings. Get chicken manure. According to SafeLawns.org, chicken manure is the best fertilizer so we picked it up. 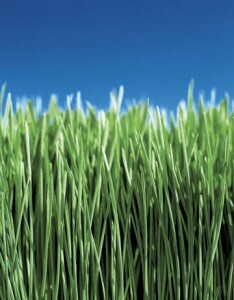 This is the product that has made the biggest difference for our lawn. It took a thin, yellow lawn and made it lush, thick and green in about a week. As long as we remember to use it every month, the lawn is awesome. We buy chicken fertilizer at Lowe’s – it’s not any more expensive than conventional fertilizer and it contains no chemicals. SafeLawns recommends one called Chickity Doo Doo. EDITED TO ADD: We don’t use plain chicken manure, it’s an organic fertilizer where the primary component is chicken manure! Using these methods, we’ve saved money on our water bills and have a safe lawn that I feel totally comfortable having my children play on. For more tips, I highly recommend checking out SafeLawns.org. Check in tomorrow for tips to keep your garden beds organic AND weed-free! This is part of the Healthy Child Blog Carnival – an effort by Healthy Child Healthy World to help inspire a movement to protect children from harmful chemicals. 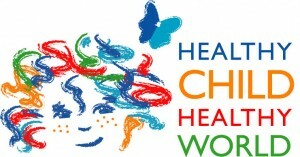 For great posts from other green mamas, check some of them out! Spring is slowing making its way through the Northwest and I’m getting excited to plant my vegetable garden. Depending on where you live and what you are planting, you may have already started planting. I generally plant starts so I likely won’t plant anything for another couple weeks. Last year, I didn’t get anything in the ground until the end of May (which was a little late) but I ended up having a great garden anyway! If you’ve never had a vegetable garden, I highly recommend that you start one this summer – it’s easy and a great project to do with your kids. It can be as easy as using a pot for one tomato plant or you can buy or build raised beds. The first summer that I grew anything, it was one tomato plant in a pot . The next summer, my husband built me a raised bed for Mother’s Day. 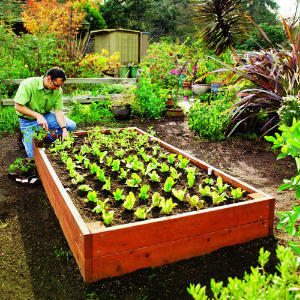 Raised beds can be as small or large as you have space for. Ours is long and narrow – 3 x 11 – between the edge of our grass and the fence. Often, the container where you keep your vegetables will be highly influenced by the location you have available with LOTS of sun – preferably 6-8 hours a day. Once you choose a container and location, start with some great soil. We have a compost bin that we stock all year just to use when planting our vegetable garden. If you don’t have a compost bin, you can purchase compost and/or soil mixes to use. One of my favorite things about my garden is experimenting. I am NOT a gardener and I don’t have a green thumb. I just try new things each year to figure out what works and what doesn’t. The first summer I learned that we eat way more cherry tomatoes than plum tomatoes. Last summer I planted more celery than we could eat. I couldn’t give away all the jalapeno peppers we had and I planted beans and peas way too late to get anything out of them. 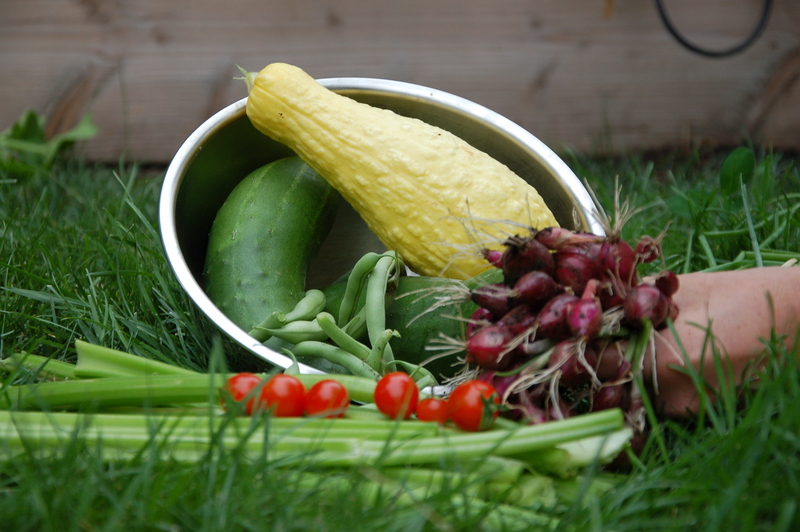 When choosing vegetables to plant, choose ones that you and your kids will eat. Tomatoes, cucumbers, and zucchini are all easy to grow and you’ll get LOTS of them – with just one plant. Talk to the growers at the local nursery or farmer’s market – they are a wealth of information about the different varities of every vegetable. I tend to kill anything that isn’t automatically watered so we put a drip system in our raised bed. It was inexpensive and easy to hook up through our automatic watering system. You could also use a soaker hose or just get out there and manually water every day. The very best thing about our garden is picking fresh, organic vegetables with my daughter every evening in late summer. She loves to take juicy, red Sweet 100 cherry tomatoes off the vine and pop them in her mouth. She’s learning (even at age 3) where our fresh food comes from and she’ll eat anything we grow in those garden boxes. And if you’ve been watching Jamie Oliver’s Food Revolution, you know that’s a lesson she won’t be learning in school. For additional resources on planning your vegetable garden, check out Martha Stewart’s Vegetable Garden Guide or Better Homes and Gardens Edible Gardening Guide. 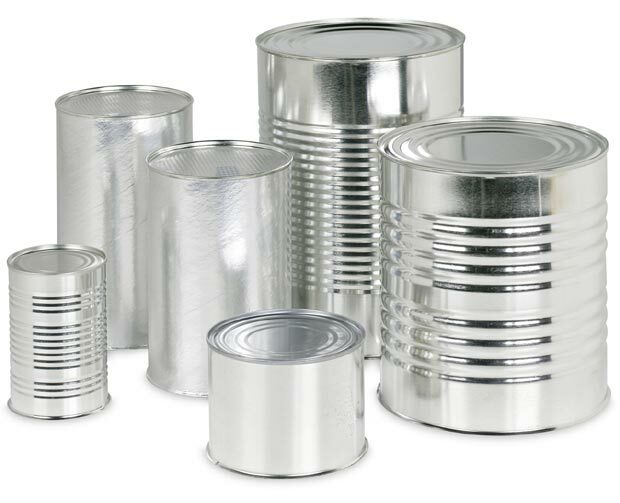 It’s not new news that the tin cans used for canned food is lined with a resin containing bisphenol-A (BPA). The only new news is that every week there seems to be new research warning of BPA’s dangerous effects. Unfortunately, avoiding canned food altogether is just not feasible for every family. 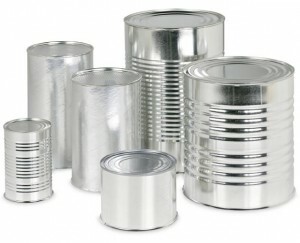 There are ways, however, to minimize your use of canned foods and the effect that BPA may have on you and your family. 1. Buy tomato based products in glass or TetraPaks. Acidity causes BPA leaching and tomatoes have a lot of it. You can get glass tomato paste and strained tomatoes from Bionaturae and crushed and diced tomatoes from San Marzano. Trader Joe’s carries an Italian Tomato Starter Sauce in a TetraPak and Pomi has both chopped and strained tomatoes, along with a marinara sauce in TetraPaks. 2. Buy Eden Foods canned goods. According to their website, “All 33 Eden Organic Beans including Chili, Rice & Beans, Refried, and Flavored, are cooked in steel cans coated with a baked on oleoresinous c-enamel that does not contain the endocrine disrupter chemical, bisphenol-A (BPA). Oleoresin is a non-toxic mixture of an oil and a resin extracted from various plants, such as pine or balsam fir. Theshttp://mommygoesgreen.com/wp-admin/post.php?post=1985&action=edite cans cost 14% more than the industry standard cans that do contain BPA. The Ball Corporation tells us that Eden is the only U.S. food maker to date to use these BPA free cans and we have been since April 1999.” Buy online. 3. Buy dried goods and cook them. Searching through my pantry, I find that many of my canned food purchases are beans – kidney, white, garbanzo or black. I can buy dried beans and cook them for my meals, it takes about an hour in a saucepan or just minutes with a pressure cooker. 4. Grow or pick your own. Spring is around the corner so start thinking about planting a fruit and/or veggie garden. I promise it’s not a lot of work – start small with a few easy to grow veggies this summer and keep adding year after year. It feels good to walk outside each day and pick the fruit of your labor (literally). What you don’t eat can be canned (in glass) for the winter. If you don’t want to grow your own, go to a farm and pick them. Last summer, we picked over 30 pounds of blueberries that lasted all winter and enough strawberries to make freezer jam for a year. 5. Buy soups and broths in TetraPaks. You can find a great variety of soups and broths in TetraPaks from brands like Pacific Foods, Imagine Foods, and Trader Joe’s. 6. Buy frozen. Frozen may not be quite as good as fresh, but it’s a better choice than canned. Frozen, organic fruits and veggies are not that more expensive than conventional choices and they are much healthier and contain less pesticides. What other kinds of canned foods do you buy and can you find an alternative?